Categorical Denial: Schools of Skepticism | Fresh Air. The Scent of Pine. 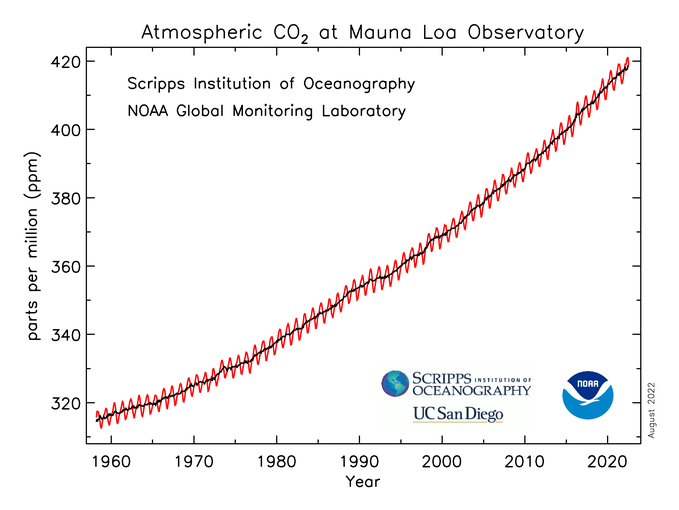 One of the initial challenges encountered when attempting to discuss anthropogenic climate change with an individual skeptical of the theory is first discerning to which school of skeptical thought the individual subscribes. The difficulty of this task is exacerbated by an innate willingness of skeptics to switch between schools as convenience dictates. Some of the more frequently encountered schools are listed below. Global warming is happening, but mankind has nothing to do with it. Global warming is happening, and mankind does have something to do with it. But, the impact is minimal and insignificant in comparison with other factors. Global warming is happening, and mankind does have significant impact. But the results are more beneficial than detrimental. Global warming is happening; mankind does have significant impact; and the impact is detrimental. But there’s nothing we can do about it. Global warming is happening; mankind does have significant impact; the impact is detrimental; and there is something we can do about it. But those actions will wreck the world economy. This list is by no means exhaustive, nor is the delineation between those listed hardened. Over the course of time, a single skeptic can, and often does, vacillate between these schools and any of a myriad combinations thereof. This absence of loyalty is often evidenced within the span of a single conversation or, in the case of a skeptical authoritative figure, a single lecture. It matters not whether the argument is a lack of accountability or a sense of powerlessness, the desired end goal is the same: a state of inaction. It’s not warming, so there’s nothing to worry about. Even if it were warming, it’s natural, so there’s nothing to worry about. Even if it were warming unnaturally, it’s actually good for us and the planet, so there’s nothing to worry about. 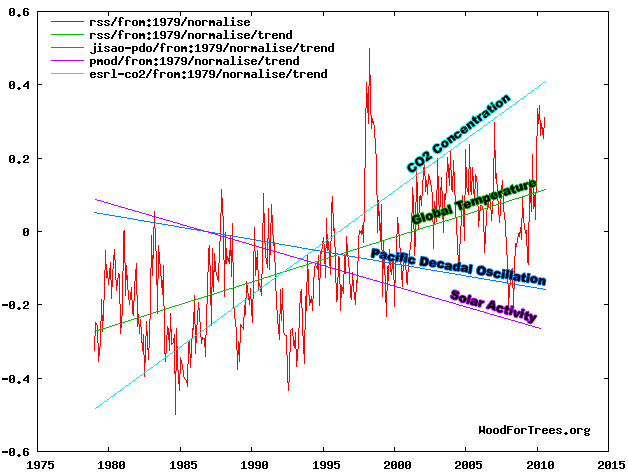 Even if the unnatural warming is detrimental, it’s too late to do anything about it, so there’s nothing to worry about. Adapt! Even if we had time to do something about the unnatural detrimental warming, there are far greater priorities, so there’s nothing to worry about. If one approach fails, simply change tack. Or, better yet, throw all of them out there in the hopes that one sticks. The most intriguing component of such oscillations being an open embrace of contradictions and inconsistencies. One hundred and thirty years is not enough to detect a trend, but somehow less than a decade suffices. Science is not by popular vote, but let me show you an enumerated list of “skeptics”. Localized events such as snowstorms are theory crushers, but local events on Mars are dismissible. Official national science organizations from around the world are openly biased, but energy industry trade groups are straight shooters. Ground-based temperature readings are laughably error prone while satellite readings with which they agree are forgotten. Well-known and oft-referenced skeptic Dr. Bob Carter exercises this ability with aplomb. During the course of a single lecture, Dr. Carter deftly weaves between schools with dexterous ease. Somehow 120 years of warming was a ridiculously brief period of time from which to draw conclusions, yet 7 years of cooling was indicative of the likely initiation of a long-term cooling trend. Published scientific studies in respected peer-reviewed journals were fraught with error, yet minority opinions by governmental legislative bodies in three countries were beyond reproach. Positive feedback mechanisms that have yet to be encountered are negligible, but negative feedbacks already in play will, at some point, be overwhelming. So, on the eve of an inevitable deluge of skeptical proclamations that will undoubtedly run the gamut of skeptical school jumping, listen closely and try to keep count of the leaps.